With whom do you compare the incomparable? How do you grasp the infinite with a finite mind? When the quintessence of majesty is the God you contemplate, how can you ever speak of majesty about anything else? God exhausts our superlatives. God's glory bewilders our imaginations. God's greatness exceeds our wildest dreams. He is beyond what we can know or believe. Yet the Wonder of all his wonders is simply this: he limited himself to a baby, swaddled by loving parents in strips of cloth, and placed in a feed trough because there was no room for them in the inn. Sometimes the greatest of all wonders are not the ones that require our biggest and best words. Sometimes the greatest of all wonders wrap their tiny fingers around our own and capture our hearts. I do not know how to understand your incredible love for us, yes even for me. How could you enter our world in baby Jesus? Like the Magi, I bow and worship you, Lord Jesus, and our Father who sent you. 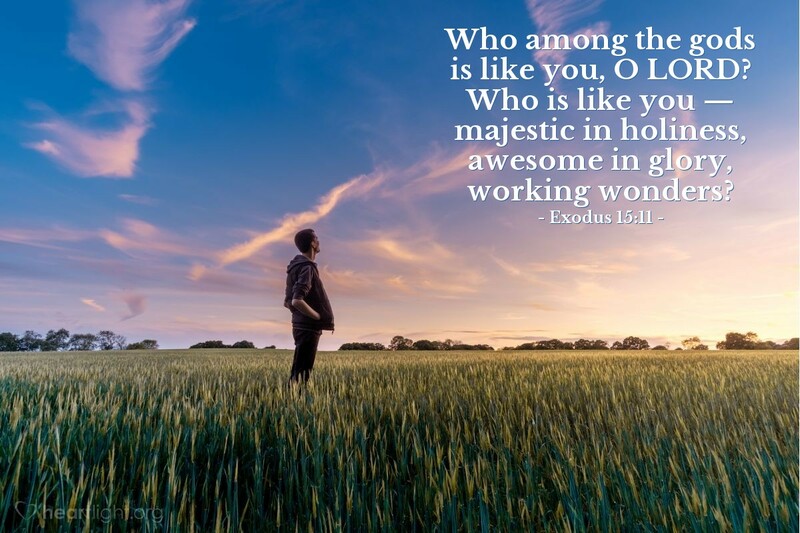 Who is like you, O God? Nobody is even close. Yet for some reason known only to your grace, you have brought us close. I praise you for your majesty and I praise you for your manger. To your glory, precious Jesus, and in your name, I offer this praise. Amen.